Affordable housing is a crisis that only seems to deepen. Some 1.2 billion people in cities lack access to affordable, secure housing – a number that’s projected to grow to 1.6 billion people by 2025. Cities in the global south, surging in size, face the worst of the problem. 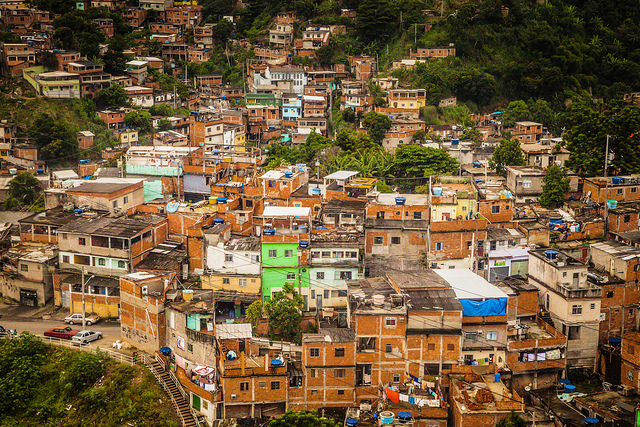 WRI Ross Center sat down with two housing experts who focus on Latin America, one of the most urbanized and yet unequal regions in the world. In interviews for the Cities Research Seminar Series, Nora Libertun de Duren and Cynthia Goytia discuss different angles on land use and its connection to housing. More compact development gives back to the urban ecosystem in myriad ways, providing better access to housing but also to jobs, amenities and city services. Preventing sprawl, Libertun says, can “increase prosperity for all” by saving infrastructure costs and lessening the burden of transportation systems, thereby lessening cities’ environmental impacts. The cumulative benefits to compact urban growth have been estimated at $17 trillion through 2050 by the Global Commission on the Economy and Climate. Libertun notes that revitalizing downtown areas and promoting rental housing are important efforts that go along with working toward more compact cities to increase opportunities for residents. She cites Chile as a country that’s promoting rental markets with density in mind, and cities in Mexico, Ecuador, Colombia and Brazil as places working to revitalize downtown areas. According to Goytia, head of the master’s program for urban economics and chair of the Centro de Investigación de Política Urbana y Vivienda at Torcuato Di Tella University, Buenos Aires, the “compact versus sprawling” framework is too simple. Infill Development. “Developing inside the city with plots that are vacant is one very important [policy] that is being done in many Latin American cities by progressive taxes,” Goytia says. With higher tax rates on vacant land, cities incentivize the use or sale of that land. Infill development can help generate a range of housing options for different income levels, in areas that are already urbanized. It can also increase density and mixed use, and therefore accessibility. Land Value Capture. Goytia recommends two forms of land value capture. First, cities collect money from owners of select properties through “betterment levies” to fund improvements that benefit both the property owners and the public at large. Second, cities sell development rights in strategic areas and use the revenue to finance new infrastructure. São Paulo, for example, has raised over $2.5 billion with this practice in just two districts. Lower Development Standards. Many urban residents are stuck in poor-quality, informal housing, but Goytia contends that some housing standards are actually too high. Take size: “You have 3,000 square meters of a minimum plot size, and people cannot afford to pay [for] such a large plot,” she says. “We need to lower standards in order to allow informal people, informal households, to build in the formal market.” Goytia notes that some Brazilian cities like Belo Horizonte and Rio de Janeiro have implemented inclusionary zoning (called Special Zones of Social Interest), “where the standards are lower.” These changes have paradoxically helped improve residents’ quality of life by lowering the bar for entry into the formal housing market, which generally brings with it more security and other benefits. Libertun agrees on the need to bring informal residents into the formal housing market. She also argues that a more inclusive labor market will beget a more inclusive housing market.